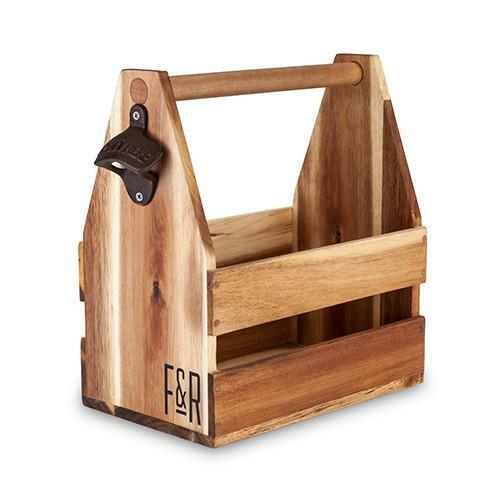 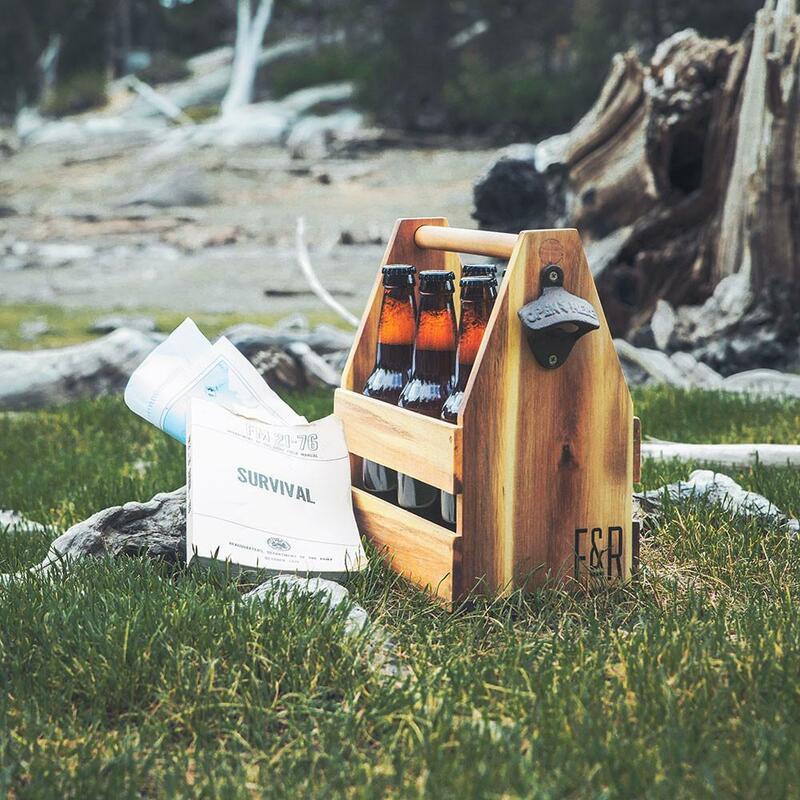 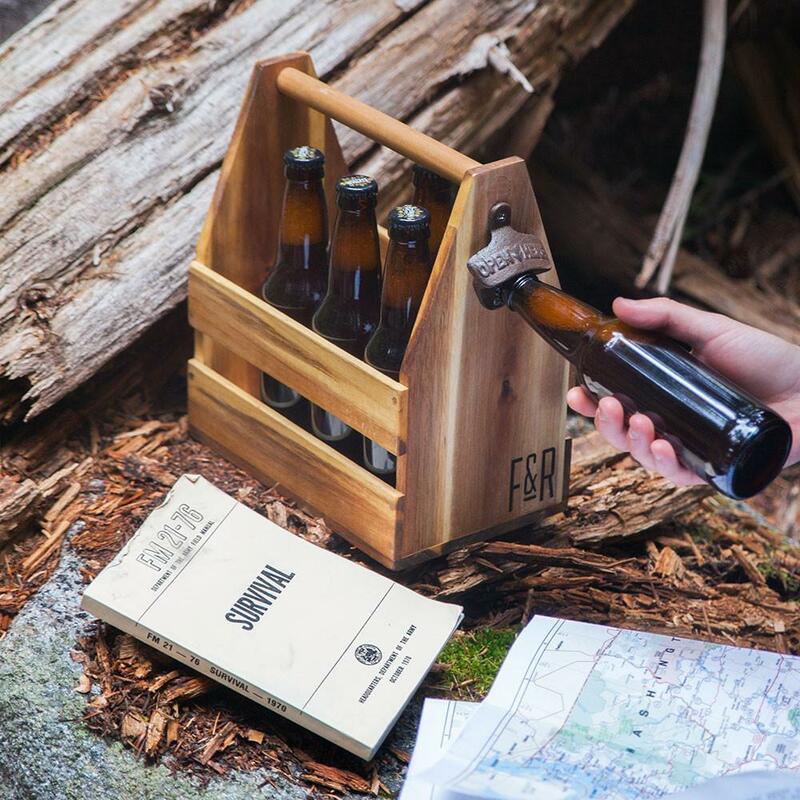 Quit lugging perfectly good beer around in terrible cardboard carriers: get our durable wood six-pack caddy instead and hit the road ready for anything. 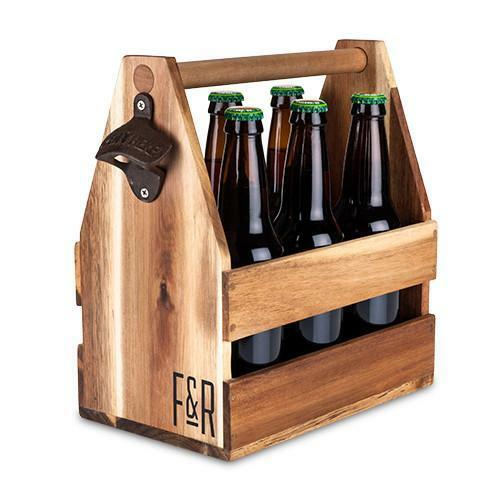 It’s even got a bottle opener built into the side, so you can quit trying to pry caps off with odd objects when you forget your opener at home. 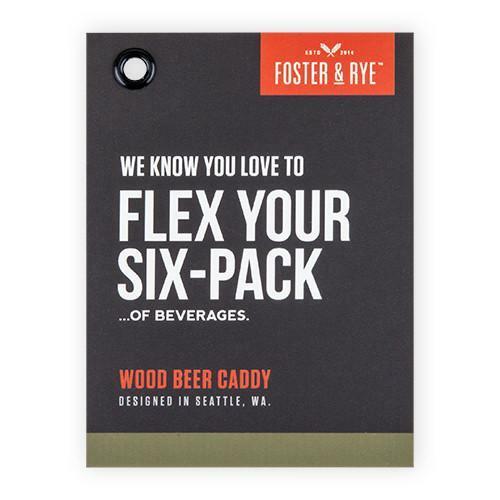 It fits six beers - or sodas, if that’s your thing, or picnic condiments, or a mix of pretty much whatever you feel like.